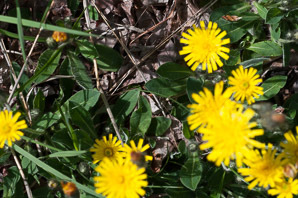 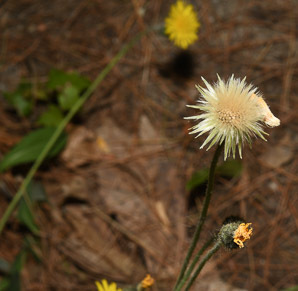 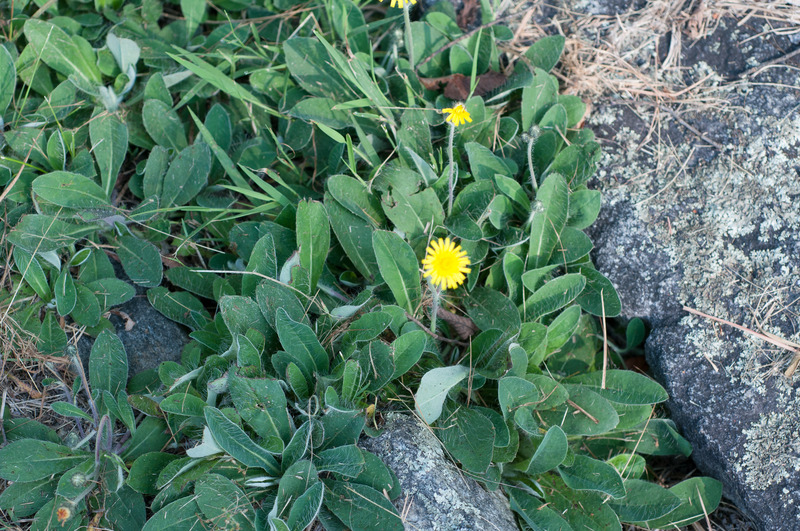 Mouse ear hawkweed is a European native, introduced to North America, where it has escaped. 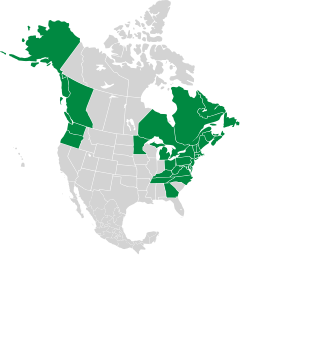 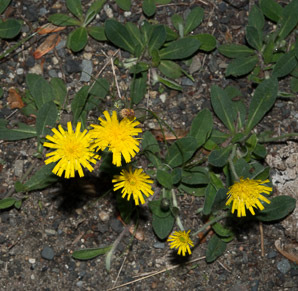 In some regions of the Pacific northwest it is considered an invasive species. 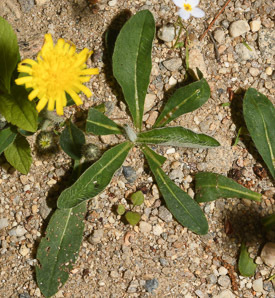 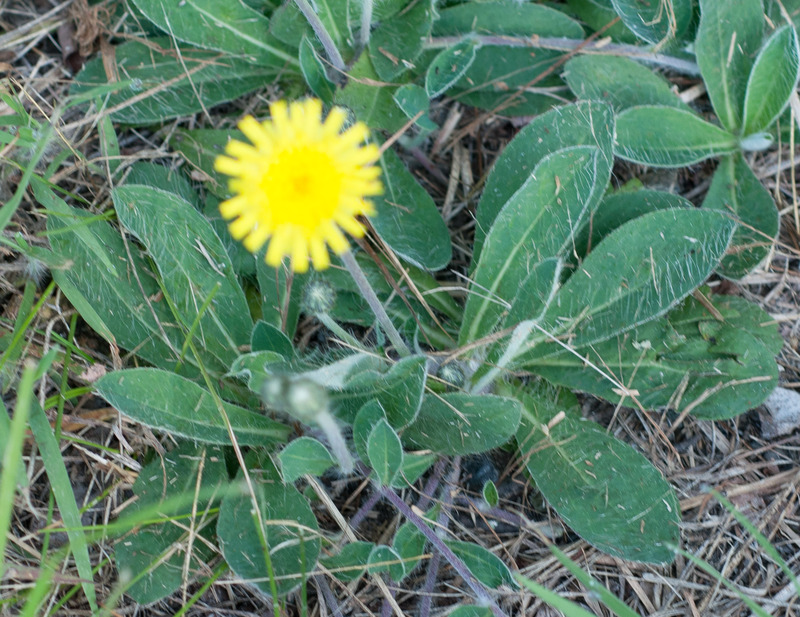 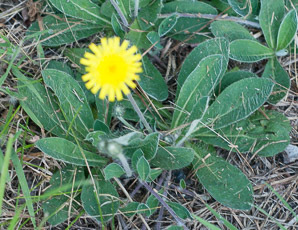 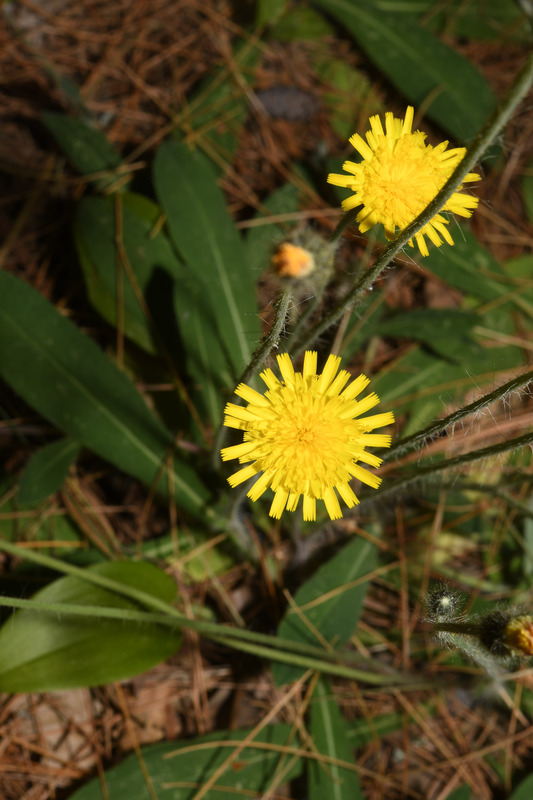 Identification: Mouse ear hawkweeds are exceptionally hairy, even for hawkweeds—especially the leaves, whose undersides are soft enough to have earned the name “mouse ears.” Upper leaf surfaces are also covered with coarser long white hairs. Plants have a basal rosette of leaves which are unlobed, elliptic, pointed to blunt, and ⅜-4" (1-10 cm) × ⅛-¾" (5-20 mm). 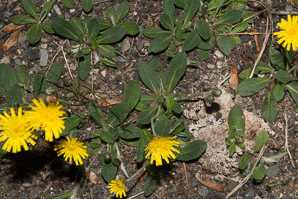 Leaves have a prominent white midvein. Solitary yellow flowers appear 1¾-20" (5-50 cm) above the base of leaves, on stems with stiff dark hairs and no leaves, each flower up to 1" (2.5 cm) across. 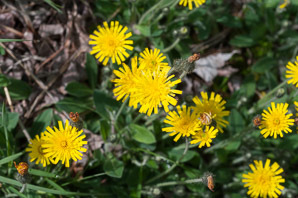 They appear from June to September. 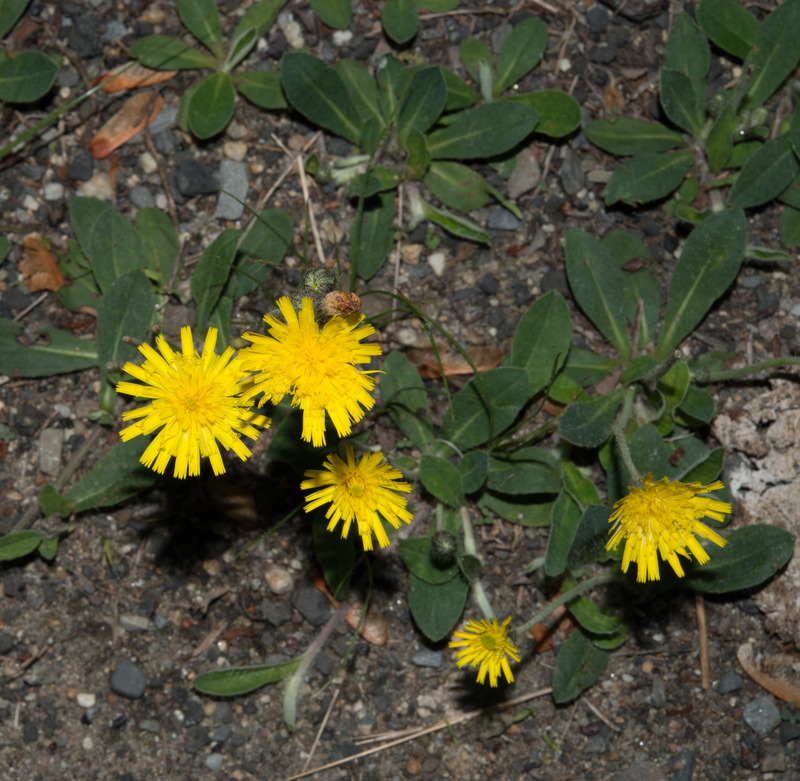 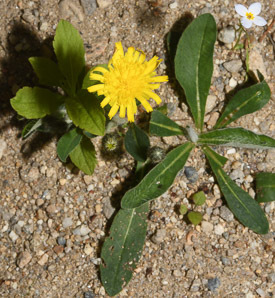 Common catsear, Hypochaeris radicata, looks similar, but its leaves are slightly lobed and less hairy. 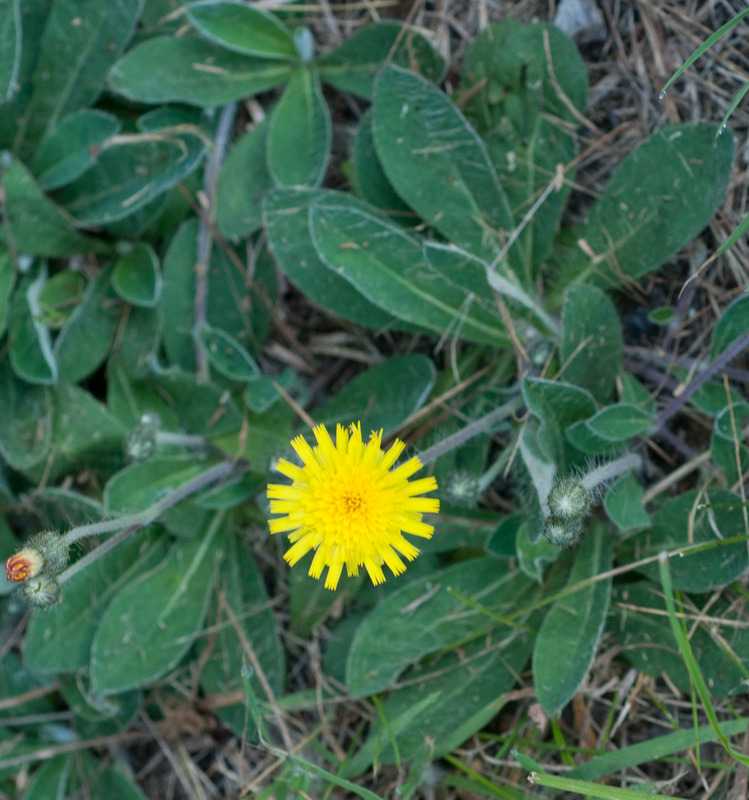 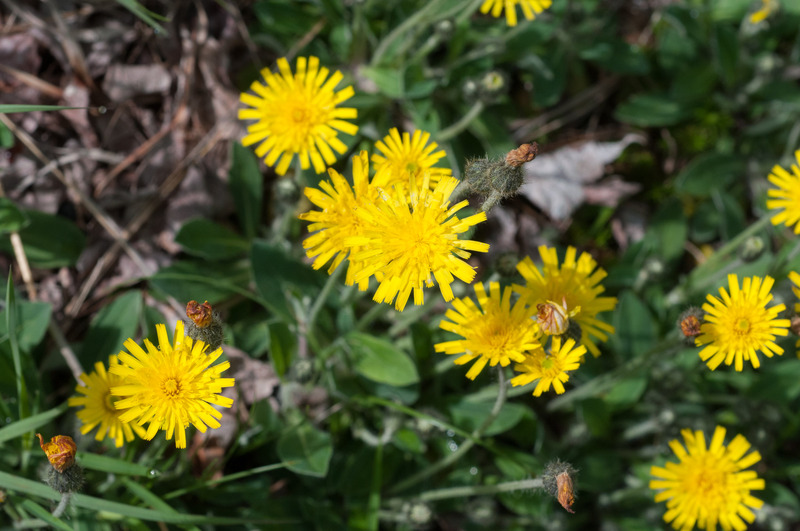 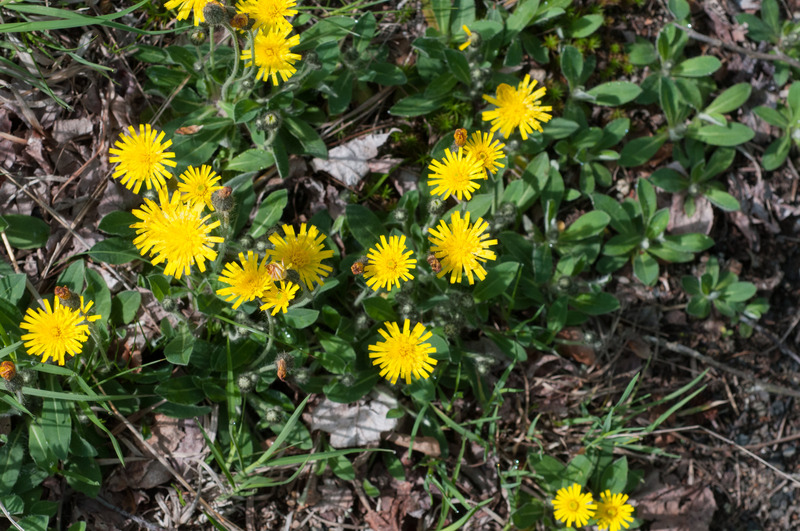 This hawkweed comparison table is an aid to identifying hawkweeds and similar-appearing species. Medical: In the Middle Ages, the milky sap secreted by this species, then called Auricula muris, was used as a cough remedy and for lung ailments. 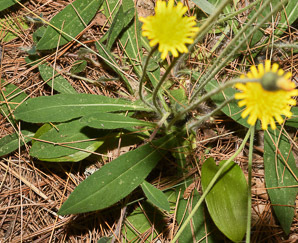 All hawkweeds secret this bitter sap, but this sap is somewhat less more palatable. This same astringency led to its use as a clotting agent for wounds. 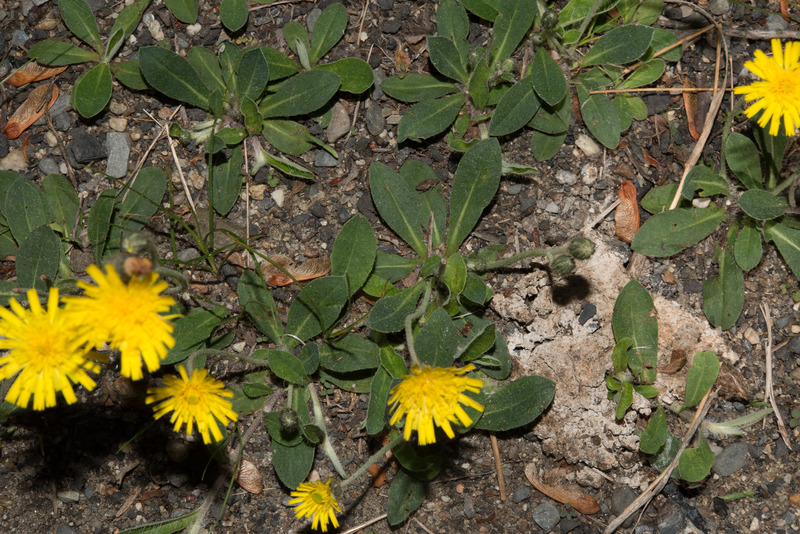 Hieracium pilosella description by Thomas H. Kent, last updated 2 Jan 2019.